LOUISVILLE, KY (WAVE) - It was a big day in the nation's capital for a Kentuckian who's trying to become the first woman to ever lead the CIA. Senate confirmation hearings began today for Gina Haspel, President Trump's nominee to head the spy agency. Haspel, 61, attended the University of Kentucky more than 40 years ago. UK officials say she was there from 1974 to 1977, studying journalism and languages and transferred to the University of Louisville for her senior year. In 1978, UofL officials say she earned a degree in Communications. On Wednesday, it wasn't the way the Kentuckian wanted to start confirmation hearings before the Senate Intelligence Committee. "Bloody Gina, Bloody Gina," yelled a protester being carted off by Capitol Police as Haspel's hearing began. That protester was crying foul over Haspel's alleged interrogation techniques of terror suspects. 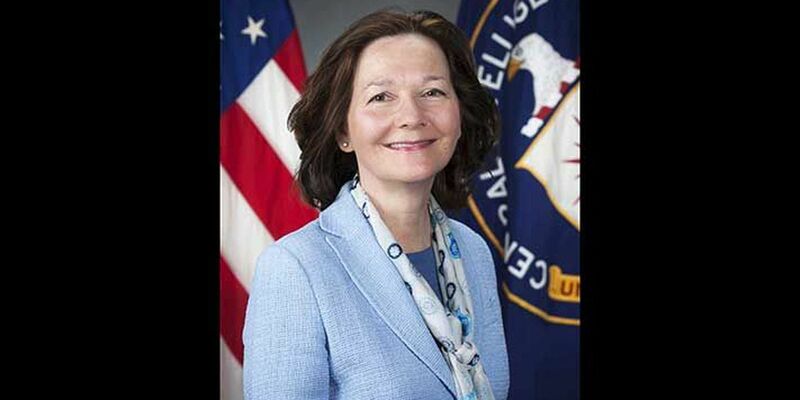 Haspel, who has been called the head cheerleader of waterboarding, began the hearing vowing she would not allow that torture to restart. Criticism was countered by praise from Senate Majority Leader Mitch McConnell (R-KY) on the Senate floor. "She would bring more direct hard-earned experience to the role of CIA Director than any leader in the agency's history," McConnell said of Haspel. "Miss Haspel is imminently qualified, she's widely esteemed and she's absolutely the right person at the right moment for this position." But it's not all love from the Commonwealth. Senator Rand Paul (R-KY) has questioned Haspel's interrogation techniques and is getting hit hard for that take by an ad running in his hometown of Bowling Green. "Rand Paul is opposing her confirmation, falsely accusing her of torturing Bin Laden's right hand, Abu Zubaydah. Haspel did exactly what her country asked of her," says the ad which was paid for by the American Exceptionalism Institute. CIA colleagues speak highly of Haspel. As a career spy who spent most of her life outside the U.S., not much else is known about Haspel's private life, except she's reportedly a fan of Kentucky Wildcat basketball and Johnny Cash classics.